Product prices and availability are accurate as of 2019-02-19 07:51:05 EST and are subject to change. Any price and availability information displayed on http://www.amazon.com/ at the time of purchase will apply to the purchase of this product. 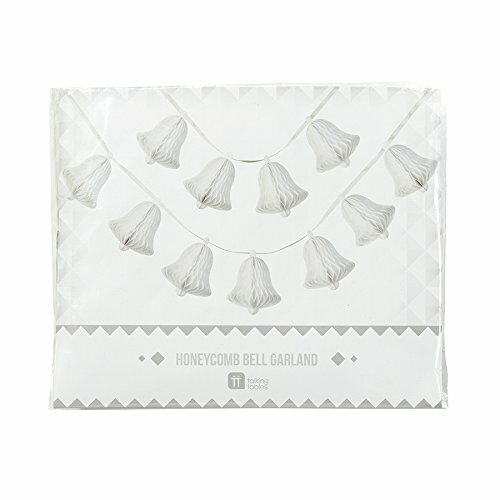 Drape this White Bell Honeycomb Garland at your wedding to add charming paper decoration detail. The white color will go with any color scheme which you might have at your celebration. Each pack comes with 5 meters of garland featuring 15 white honeycomb bells, each measuring 5". A crowd-pleasing detail to any celebration, or just a lovely addition to your home decor. 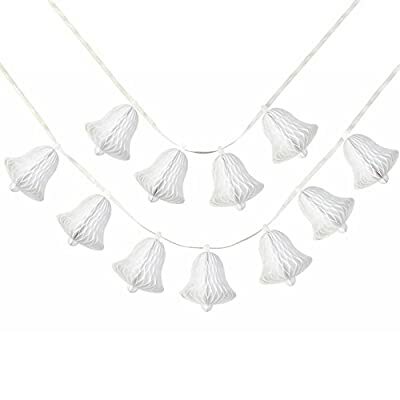 Combine with our charming white honeycomb hearts for the perfect wedding decoration.